On Sunday, The Washington Times reported that Indiana Governor Mike Pence had a "95 percent probability" of being Donald Trump’s vice presidential pick, according to influential Republican constitutional lawyer (and Republican National Committee delegate) James Bopp. Just a few days earlier, The New York Post reported that Trump’s campaign was vetting Gen. Michael Flynn, former head of the Defense Intelligence Agency. This all came at the end of a week in which any number of Republican names — including former House Speaker Newt Gingrich, Gen. Stanley McChrystal, and coat-carrying New Jersey Gov. Chris Christie — were being floated possible running mates for Trump on the GOP ticket. That nobody seems to know what’s going on inside the Trump campaign is hardly surprising, and to a certain extent, it becomes a kind of ridiculous exercise for the pundit class to try to guess whom The Donald will choose. In many ways, Bill Kristol's assertion (whether it’s a joke or not) that Trump is "convinced one-syllable last names convey strength" seems to be as likely a basis for his decision as any. But given everything that has come before in the runaway mine cart that is the Trump 2016 campaign, I’m going to have to put my money on Gen. Flynn in the Veepstakes. Before I get to why I’m betting on Flynn, it’s important to underscore why I’m not so sure about the other frontrunner, Pence. The Indiana governor certainly has the conservative credentials that many feel are lacking in Trump, and he backed Texas Sen. Ted Cruz during the Republican primary in Indiana in May, which may actually strengthen his credentials among establishment Republicans who still have their (many) doubts about Trump. With a solid record within the party, Pence would be a level-headed choice for Trump. But if Trump has proven anything to us in the 13 months he’s been running for president, "level-headed" isn’t really his style. Every time anyone in the press has mentioned that Trump is pivoting, it seems to be a signal that he is in fact about to double down on one of his previous outlandish policies or go out on a new limb of ridiculousness. In many ways, Flynn fits in well to Trump’s style, and his recent bio almost sounds like a Trump talking point. 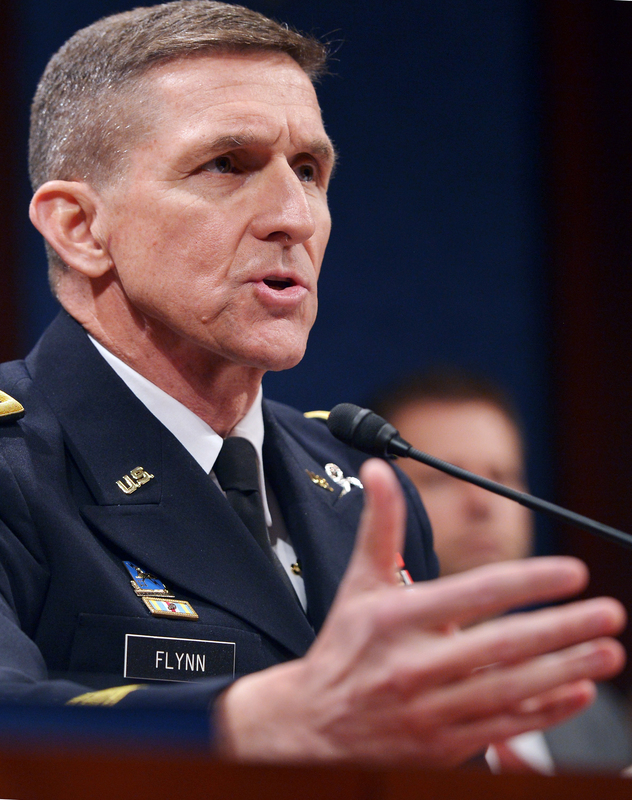 The general was fired by Obama in 2014, and just a few days ago, Flynn published an op-ed in The New York Post with the title “The military fired me for calling our enemies radical jihadis.” Outspoken and irreverent, Flynn is also a registered Democrat, which in and of itself may make him the “gutsier” — if not potentially the more reckless — choice. At the end of the day, I don’t know that any VP pick of Trump’s could truly shock us. We’ve become familiar with his shallowness, his bullying, and his casual relationship with the truth. That he’d pick an unconventional running mate should be unsurprising. What should keep us up at night is whether the ticket has a real chance of winning.